Challenger Lifts, an American market leader are now available to the Australian market exclusively from Logicar! In order to save space and time, these products are ‘workshop changers’ in efficiency and technology. 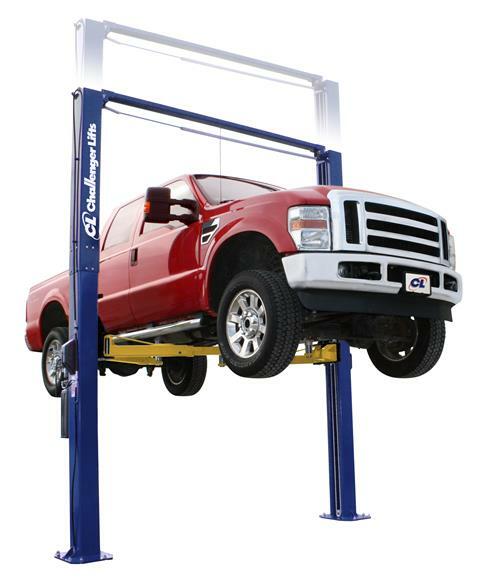 Competitively priced, the Challenger Lifts range has hoists to suit every need from constructing a new workshop or outfitting an existing building, to simply upgrading your well-worn existing hoist(s). With our focus on offering the very best in sound advice and dependable quality equipment, we’ve put together the ‘essentials’ on our hoist range to help ease the task of choosing which hoist suits your needs. 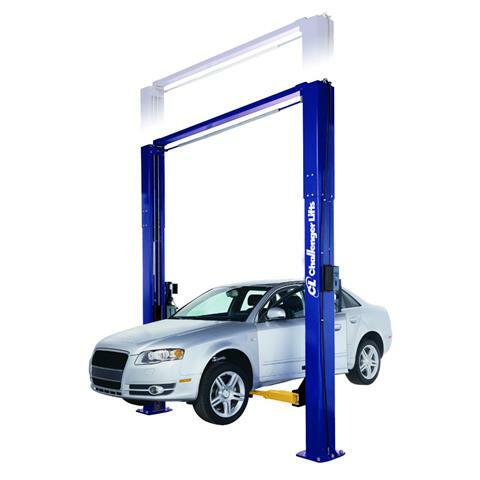 Hoist Description: Versatility to safely lift cars, utilities and dual cab, vans and SUV's symmetrically or asymmetrically within the same service bay, within rated capacity. Hoist Description: Perfect for the express service requirements. Hoist Description: 3-stage front arms and 2-stage rear arms. 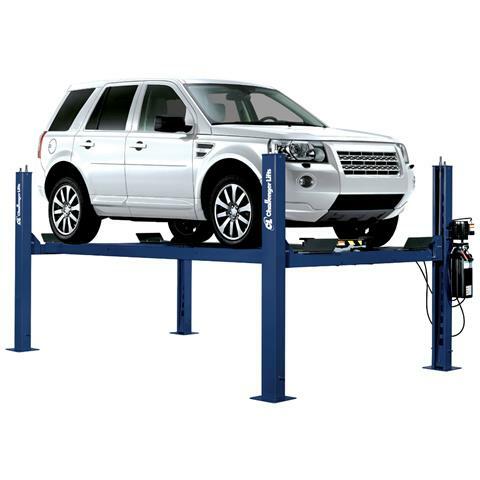 Versatility to lift vehicles both symmetrically and asymmetrically within the same service bay. 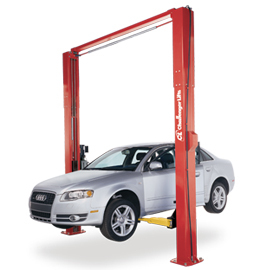 Hoist Description: Optional 2’ column height extensions accommodate higher profile vehicles. Ability to be configured in either the symmetric or asymmetric position depending upon the service or spacial requirements of your shop. Lifting Capacity: 10,000 lb (4536kg) Symmetric and Asymmetric applications. 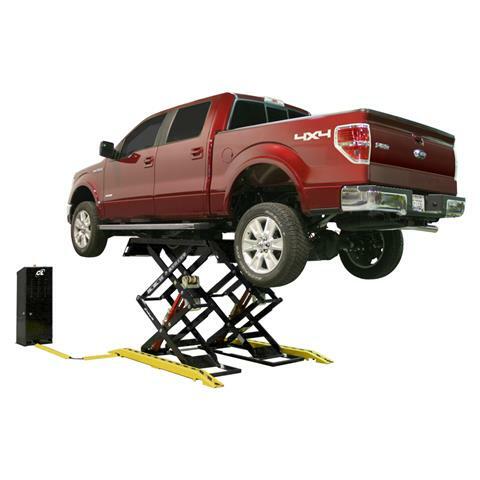 Hoist Description: Symmetric lifting capability, maximum room to work underneath vehicles and room to grow. 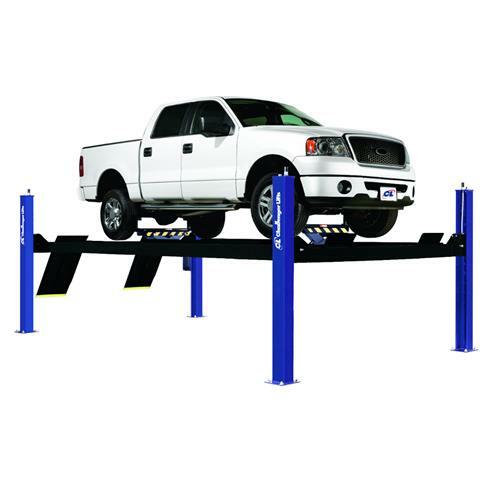 Adjustable height accommodates higher profile vehicles and provides ample headroom for day to day servicing. 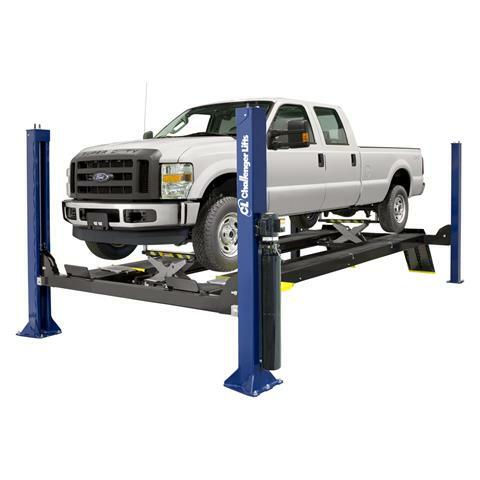 Overall/Column Height: Ceiling Height 13' 11” or 14' 8” (4242mm or 4470mm) OR 15' 11" or 16' 8"
Hoist Description: The complete package for expanding your service offering and revenue potential. Comes in several productivity configurations. Able to service small passenger cars, utilities and dual cab, vans and fleet vehicles. 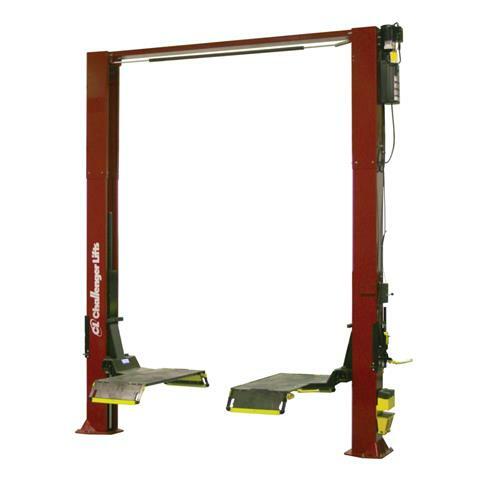 (2527mm front - 2375mm rear) Closed Front 7' 6-1/2"
Hoist Description: Loaded with features you would expect to pay extra for. 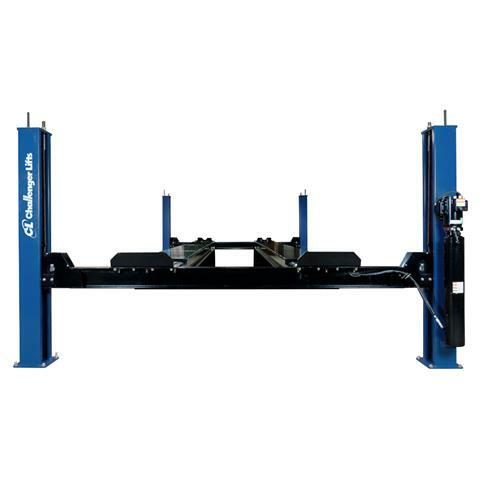 With optional rolling jacks, oil drain pan, etc., you’ll be able to accommodate just about anything that comes in for service and afford room to grow with its reasonable cost. Optional bolt on alignment kit. Hoist Description: Designed with versatility in mind. 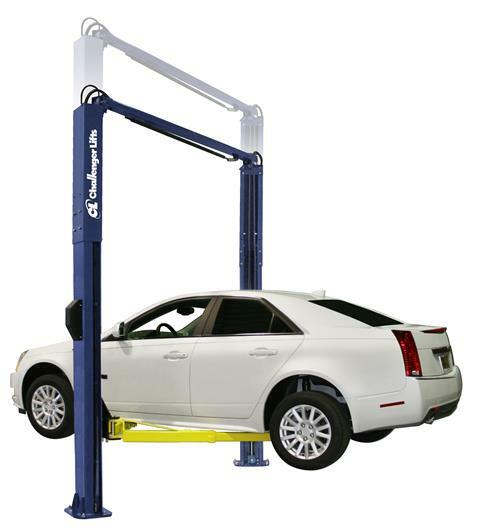 Home car lifts, perfect for light duty commercial service or storage. Hoist Description: Available in General Service and Alignment! Time-proven cable-driven lift system with heavy-duty steel sheaves and cables for optimal performance. EQUIPMENT FINANCE - WE'VE GOT YOU COVERED! Short on time? 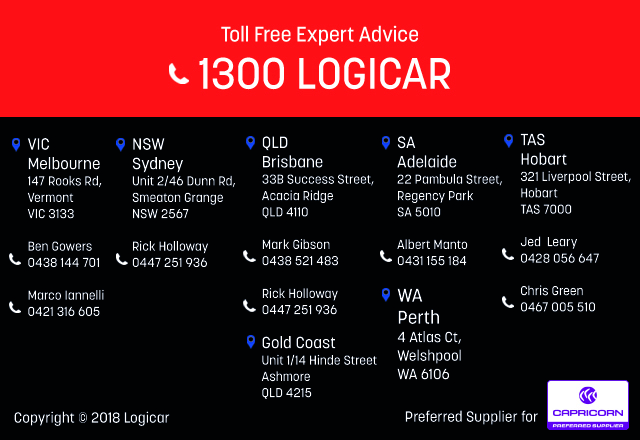 Logicar has you covered with fast and efficient financing solutions. 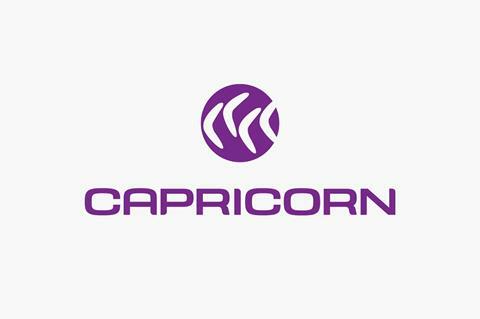 Take advantage of our financing options with Capricorn.